Rise Vision was recently featured in the July / August Digital Signage Magazine talking about SaaS. The digital signage community has been stirred up lately by none other than the editor of Digital Signage Magazine (David Keene), over an issue that has changed the entire software development community. That issue is Software as a Service, or SaaS. Other names include Cloud Computing, or ASP models, but in a nutshell, SaaS applications are hosted, and made available via the web by the software developer. Rather than purchase an application and install it on internal servers, users purchase subscriptions to an SaaS version, which they access from anywhere by logging into a specific web site. The digital signage market has embraced this model, with many content management vendors now offering their solution via a SaaS model. My company is no exception: Rise Vision was one of the first to move to the SaaS platform, and has been completely web-based since 2005. We bet our business on this model, and have grown with the industry. While our initial decision was prompted by the benefits we knew we could deliver to the digital signage user community, we have discovered how powerful SaaS solutions are for digital signage integrators. SaaS has enabled us to develop custom programs that get integrators out of the no-win, cost-cutting game created in our increasingly commoditized market. And, SaaS has enabled our resellers and integrators to build long-term, recurring business by strengthening their relationships with customers. 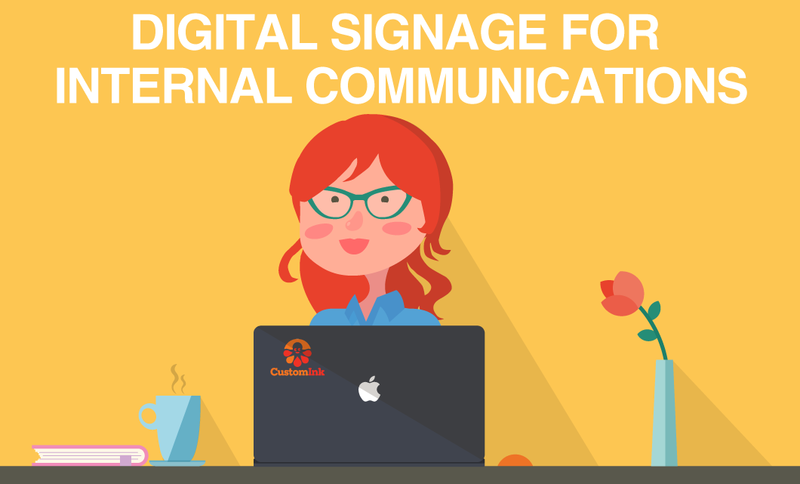 ·Ease of Deployment: There are a lot of great things about digital signage, but it is no secret that it can be extremely challenging to build an in-house digital signage network. Users are confused about what hardware, software, and networking equipment they need, and struggle to piece it all together. This is one of the main reasons to consider SaaS – it makes digital signage much easier to deploy. Companies don’t need to purchase hardware or employ dedicated IT help – all they need are large format displays and Internet connectivity. End users can focus on their key objective of delivering their message. ·Low Cost of Entry: There are a lot of costs associated with building a secure, scalable digital signage network, and they can be overwhelming for companies just starting out. With SaaS, the developer bears those costs, not the user. SaaS providers build the fault-tolerant architectures using reputable hosting firms like Rackspace to ensure their systems have the highest security and are sitting on redundant power grids, redundant internet connections, and are backed up every few hours. And when the network grows? Most SaaS software is built on an architecture designed to support thousands of displays. SaaS-based systems scale better than most on-premise systems, which often are designed for fewer screens and require new architecture and new hardware to support growth. Most SaaS developers scale subscription pricing as well, further reducing the cost per screen. Companies looking to deploy a thousand screens would be hard pressed to build out a fault tolerant architecture and manage the system for the annual cost to use a SaaS provider. Premise-based solution developers often tout their approach as being the most robust option for large enterprise-wide digital signage deployments, but the reality is that any deployment is only as robust as the hardware it runs upon. Building up that type of infrastructure and maintaining it at peak performance is costly. SaaS vendors are responsible for making the investment on your behalf, and because they are making it on such a large scale, they can afford the best. ·Latest and Greatest Features and Functions: SaaS offers another significant benefit to end users -- because the software is centrally hosted, making it easy for the developer to implement new features and functions on a regular scheduled basis. Users get the benefit of the latest and greatest without the hassle of having to purchase the next version and deploying it themselves, these upgrades are part of their subscription cost. ·Secure Access and Operations: The biggest perceived fear about SaaS is usually security. 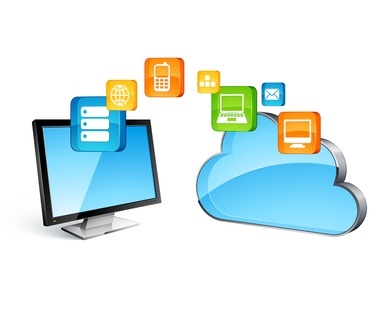 But the evolution in cloud computing is changing that perception. IT professionals see developers employing state-of-the-art technology to host and secure their facilities, minimizing risk. Most credible SaaS providers have a dedicated network security employee who constantly monitors, and patches their servers to keep them up to date and secure. This cost is spread out over a large client base making it feasible, while most self-hosted networks can't justify the expense of a dedicated person to provide this level of security. As in any purchase, it is true that buyers must perform due diligence on vendors, whether they choose SaaS digital signage or an on-premise solution. Because SaaS is the new kid on the block, some buyers are leery of basing their entire system “in the cloud.” There are risks with this approach, but no greater than those associated with investing in a lot of hardware or a software solution from a vendor that goes out of business, or in choosing a platform that developers ignore. Just ask any BetaMax buyer about that. The best way to handle this is to ask the same questions of a potential vendor that you would for any major purchase: how long have you been in business? What do your customers think of your product? What are your development plans in the future? Do you have the capability to execute? The right answers will enable you to have as much confidence in your purchase as possible. These are just some of the main points why SaaS has been a winning solution for end-user customers.But as we have explored the capabilities of the platform, we’ve discovered a host of reasons why SaaS delivers benefits for the AV integrator community as well. Sales have exploded in the digital signage market, in part due to the lowered barriers of SaaS. Increased sales haven’t eliminated the challenges faced by the integrator and reseller community. Competition is fierce, and companies are willing to cut prices – and margins to win deals. The current economic crisis has only made that situation worse. While we understood the benefits of SaaS for the end-user community, the hyper competitive market helped us understand how SaaS could benefit the integrator and reseller community as well. When we first made the switch to developing our content management solution on an SaaS platform, we thought that resellers’ biggest challenge was overcoming end user’s barriers to entry in digital signage: the high cost to purchase all of the equipment, and the challenge of putting it all together. We also knew that resellers and integrators wanted to get beyond the one-time sale, and establish a way to build a recurring revenue stream with their customers. It’s true that our SaaS solutions helped resellers and integrators overcome those challenges, but the more we talked with them, the more we realized that their most pressing problem was to find a way to stand out from their competition in what was very quickly becoming a commoditized market. All of the sudden, it seemed that everyone was selling digital signage solutions, and at cutthroat pricing. Our solution helped them attract customers; how could they retain them when the guy down the street was willing to sell for less? Most successful companies find they must face that question at one point or another in their path to growth, and the answer is generally the same: find your unique value, and focus on developing it and promoting it in a way that customers want to buy, and for which customers are willing to come back to you time and time again. That’s when we realized that SaaS could help our resellers differentiate themselves in a compelling way. We developed a Private Network Program that enabled our resellers and integrators to brand the software as their own. SaaS enabled us to develop this program, where integrators can customize our content management software to build their own, branded solution. Via this program, our integrators can brand login screens with their own logo and identity, and incorporate marketing and other messages directly to customers. They build on top of our platform, and wrap it with other products and services to offer a private-labeled solution. Some resellers bundle in creative services,specially configured media players, or other offering that highlights and promotes their unique value to their customer base. This enables them to focus on selling their added value, rather than entering into a death spiral with the reseller down the street to see who can slash their hardware margins the lowest. Resellers and integrators can wrap our solution with unique services and market it with creative pricing, and use it to strengthen customer relationships. For example, using SaaS software as a base platform, resellers whose value proposition is creative services can develop a bundled offering that charges $300 to $400 per month for a service package, and include the digital signage software for free. It’s far easier to make the sale when the customer sees the significant value they can receive with the unique bundled offering. It also makes it all but impossible for an end user to break their digital signage solution into pieces to award it to the lowest bidder. The bottom line is that SaaS-based digital signage enables resellers to overcome the challenges they face in an extremely competitive market, while building long-term customer relationships. It is a tool to enables them to highlight their unique differentiators, and sell more of whatever they are good at selling. It enables resellers and integrators to break away from the commoditized race that destroys margins, and build the type of business that earns customer respect, loyalty, and trust. SaaS-based digital signage is a winner for our industry, and it will continue to change us all for the better. Here's what youre missing out on!